This document is effective as of April 2018 and supersedes all Terms of Business previously issued by us. It sets out the terms upon which we agree to act for our customers and contains details of our regulatory and statutory responsibilities. It also sets out some of your responsibilities. Please read it carefully. Please contact us immediately if there is anything in the Terms of Business that you do not understand or with which you disagree. Now Travel Insurance Services is a trading name of Less Clicks Ltd.
Less Clicks Limited are authorised and regulated by the Financial Conduct Authority, firm reference number 710589. Less Clicks Limited is a company registered in England and Wales with company number 08344708, registered address 16 Great Queen Street, London, England, WC2B 5DG. You can check this on the Financial Services Register by visiting the FCA’s website https://register.fca.org.uk/ or by contacting the Financial Conduct Authority (FCA) on 0800 111 6768 or 0300 123 9123. We offer products from a limited number of insurers, the names of which can be found on our About us page. We are authorised to issue policy documentation and/or certificates on their behalf. We do not give advice or recommend any particular insurance policies. We may ask you some questions to narrow down the selection of products that we provide. You are required to make your own choice about which product you proceed with. Email is our preferred method of communication, followed by telephone and post. Please let us know if you prefer not to receive a communication by a particular medium. The terms of any insurance that we arrange on your behalf will be based upon the information provided by you to us or to your insurers. As a consumer (an individual buying insurance wholly or mainly for purposes unrelated to your trade, business or profession) you must take reasonable care to answer all questions put to you about your proposed insurance fully, honestly and to the best of your knowledge. If you do not understand the meaning of any question, or if you do not know the answer, it is vital that you tell us. Once cover has been arranged, you must immediately notify us or your insurer of any changes to the information that has been previously provided. The most serious consequence of failing to provide full and accurate information before you take out insurance, or when your circumstances change, could be the invalidation of your cover. In that instance it would mean that a claim will be rejected. All personal information about you will be treated as confidential and only disclosed in the normal course of negotiating, arranging and administering your insurance. This may include disclosing information to agents and service providers such as loss adjusters and approved contractors. With a few exceptions, for example information requested by a court, a regulatory body, or information which is already in the public domain, we will not release information to any other party without your consent. Under the Data Protection Act 1998 you have a right of access to see personal information about you that is held in our records, whether electronically or manually. If you have any queries, please write to us at the above address. Unless stated otherwise in our documentation, all quotations provided for new insurances are valid only for a period of 14 days from the date of issue. You should be aware that quotations may change or be withdrawn if the information given to us or your insurers in proposal forms or declarations differs from that provided at the time the quotation was issued. We do not consider instructions to arrange or change cover sent to us by post, electronic mail or facsimile, or left on answering equipment, to have been received until they reach the relevant personnel in our offices. We do not accept responsibility for instructions that do not reach us due to failures in the postal, electronic or telecommunications systems. The timescale for dealing with instructions is next working day. If additional information is required we will contact you as soon as possible. All documentation is provided electronically at point of quote, sale or alteration using the email address provided. Our aim is to produce documentation and correspondence in a clear and understandable format. In the event of any uncertainty we would ask you to let us know immediately. Our staff are always happy to clarify the cover provided. You should check all policy documentation to ensure that the details are correct and the cover provided meets with your requirements. Any errors should be notified to us immediately. All policies contain conditions and exclusions and some contain warranties and excesses. It is your responsibility to examine the document to familiarise yourself with these. A breach of a policy condition may result in non-payment of a claim and breach of a warranty may invalidate the cover if it is not complied with precisely. We recommend that you keep policy documents for as long as a claim is possible under the policy. In respect of some classes of insurance we may operate block insurance arrangements in order to provide competitive terms. On occasions it will be necessary for us to transfer such blocks from one insurer to another where this is beneficial to our clients. This document constitutes both your acceptance that we do this and your prior request for us so to do. We are remunerated by way of brokerage, which is a percentage of the insurance premium paid by you and allowed to us by the insurer with whom the insurance policy is placed. In the ordinary course of our business we sometimes earn income in the form of management/administrative expenses allowed to us by insurers to cover costs incurred in carrying out work on their behalf and in the form of volume, growth or profitability payments. We may sometimes also earn income in the form of commission for the provision of other services to you, which will be agreed with you on an individual basis. No bonuses or performance related payments, outside of the standard salary structure, are made to any employees of the company. For each insurance policy, including any subsequent renewal, you have a right to request information regarding any remuneration that we have received because of you placing your insurance business. Our service to you for the provision of insurance products and advice will be at no direct cost to you. Wherever possible we will provide additional services and advice in support of your Insurance and Risk programmes within our normal remuneration. Should you wish to cancel your policy outside of the 14 day cooling off period, and can confirm that there have been no claims on the policy and that you have not travelled, a £15 administration fee will be applicable and the cancellation terms stated within your Policy Wording will be adhered to thereafter. We accept payment by most major debit and credit cards, excluding American Express. We do not use an auto-renewal service for Annual policies. We collect and hold money as an agent of the insurer. You need to check the relevant section of the policy wording to see if you are covered and what documents and supporting materials are required to make a claim. Please then contact the claims service detailed in your policy wording in order to submit your claim. In a medical emergency, please contact the Emergency Assistance Company detailed within the policy wording for help. Please read the policy wording for details. If you are admitted to hospital or need to curtail your trip you must contact the Assistance Company for authorisation before incurring any expenses or insurers may not pay your claim. Simple outpatient treatment should be paid locally and claimed for on your return to the United Kingdom. It is our intention to provide a high level of service at all times. 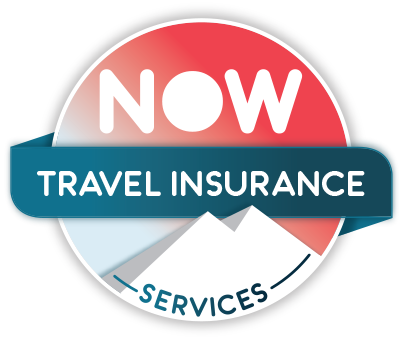 However if for any reason you feel our service is not of the standard you would expect please let us know by contacting our Customer Relations Manager by emailing enquiries@nowtravelinsurance.com marking the email for the attention of our “Customer Relations Manager”. We are committed to treating our customers fairly. However, we realise that there may be times when things go wrong. If this happens, please contact us using the details below. Please tell us your name and your claim number or policy number and the reason for your complaint. If you have any type of complaint about our service please contact our Customer Relations Manager at Now Travel Insurance Services, 308-314 London Road, Hadleigh, Benfleet, Essex SS7 2DD. If you are not happy with our final decision on a complaint, you may be able to pass your complaint to the Financial Ombudsman Service (FOS). The FOS is an independent organisation and will review your case. If you take any of the action mentioned above, it will not affect your right to take legal action. As Your complaint relates to insurance purchased from Us via electronic means, You are also able to use the EC On-line Dispute Resolution (ODR) platform at http://ec.europa.eu/consumers/odr/ who will notify the Financial Ombudsman Service on Your behalf. You have a ‘cooling off’ period where, should you decide that you find that the terms and conditions do not meet your requirements, and provided you have not travelled or claimed on the policy, you can advise NOW Travel Insurance Services within 14 days of purchase for a full refund to be considered. Should you wish to cancel your policy outside of the 14 day cooling off period, and can confirm that there have been no claims on the policy and that you have not travelled, in addition to a £15 administration charge; the following cancellation terms will be applied dependant on what type of policy you have purchased. In the event you have not travelled and are not claiming on the policy, a refund of 50% of the policy premium and any additional premium applied to your existing medical conditions will apply. If you have travelled or are intending to claim, or have made a claim (irrespective of whether your claim was successful or not) we will not consider refunding any proportion of your premium. Provided you have not made a claim on the policy (irrespective of whether your claim was successful or not) and you confirm in writing that there is no claim pending, should you choose to cancel and understand that all benefits of the policy will be cancelled, we will refund 5% of the total premium paid, for each full calendar month remaining on the policy from the date of cancellation. If you are intending to, or have claimed (irrespective of whether your claim was successful or not) we will not consider refunding any proportion of your premium. All renewals are at our discretion. We will notify you that your policy is due for renewal at least 28 days before it expires and include a quotation based closely on your current cover type. We will also disclose the previous year’s premium paid including any endorsements made throughout that year. Once your policy has been renewed you have a 14 day cooling off period, when you can cancel the cover and receive a full refund, provided no claim has been made. YOU ARE DEEMED TO HAVE ACCEPTED THESE TERMS OF BUSINESS AND GIVE YOUR CONSENT FOR US TO OPERATE IN THE WAYS DESCRIBED, UNLESS YOU ADVISE US OTHERWISE WITHIN 7 DAYS OF RECEIPT.